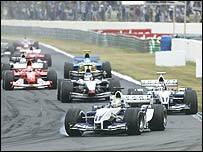 Global spotlight centered on Bahrain during April 2-4, 2004, as the first Grand Prix racing event of the Middle East was held in Bahrain. His Majesty the King of Bahrain, His Highness the Prime Minister and His Highness the Crown Prince, who gave their full support to the event, were among the enthralled audience to watch top drivers, including World Champion Michael Schumacher, speed down the new US$150 million Bahrain International Circuit. Visitors flocked in from 104 countries, with the majority from Europe and the Gulf region. During the period, inward passengers recorded a 57% increase compared to the same time last year. Fast-track immigration services and special online visa arrangements were made for tourists who arrived at the Kingdom during the Bahrain Grand Prix. Bilingual airport hostesses were also trained especially for the event as ambassadors for the Kingdom. 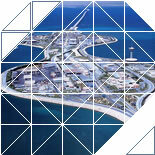 Bahrain Grand Prix firmly puts Bahrain on the world map of leisure and business. The landmark event paves the way for more exciting international events in Bahrain, boosting tourism and employment opportunities and further enhancing the country's economic growth.